This fascinating look at the life of a modern-day professional soldier gives the reader an inside view of the deadly global war on terror. Herd argues that conflicting political objectives have muddied the way forward for the on-the-ground commanders and thus threaten the prospect of any real victory in Afghanistan. He uses everyday stories to make his points: ""One of the local leaders pointed to his wrist and said to my interpreter, 'the Americans have all the watches but we have all the time.' That made a lasting impression on me."" Colonel Herd was one of the highest ranking officers on the ground with a command of some 4,000 elite soldiers from all branches of the U.S. military and five other coalition nations. It was a mission he had trained for all of his life. A sixth-generation soldier, Herd became a master parachutist, a combat scuba diver, a Green Beret and an Army Ranger. 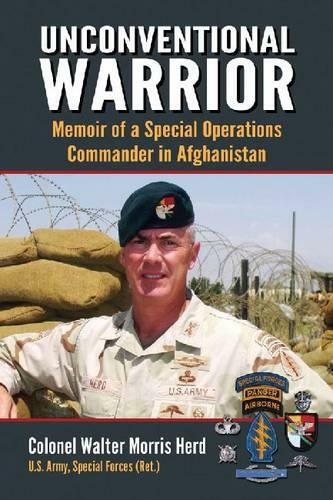 He conducted combat missions against the Taliban by using the Special Forces mandate of working by, with and through the local population.